Peter Horrobin has more than twenty years of experience teaching about healing and ministering to people in need. In this comprehensive, practical and groundbreaking volume, he draws on this experience to set out a thorough scriptural foundation for the healing and deliverance ministry—and intregral part of fulfilling the Great Commission and a vital key to discipleship. 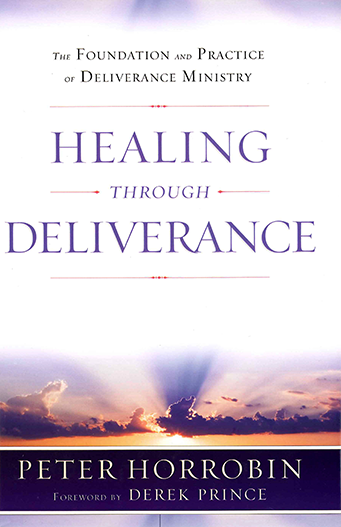 He lays out the biblical basis for healing through deliverance; provides safe guidelines and practical tools for building a healing and deliverance ministry; helps people identify possible demonic entry points; and teaches how we can become affected by demonic power and how we can be delivered and healed. In the final section of the book Peter turns his focus to the cleansing of land and buildings. This authoritative handbook provides answers to every question, equipping you to understand the ministry and respond to the call of God to set the captives free.